We regularly send out mailings marketing your images to registered picture buyers. We don’t send them to people who haven’t signed up to fotoLibra, because we’re terrified of being seen as a spammer by some robot in California. Choosing subjects is fun. Our Taxonomy Matrix (at the back of our User Manual) covers 256 aspects of life and stuff in, on and out of this planet, so we never run out of interesting and topical things to tell buyers about. 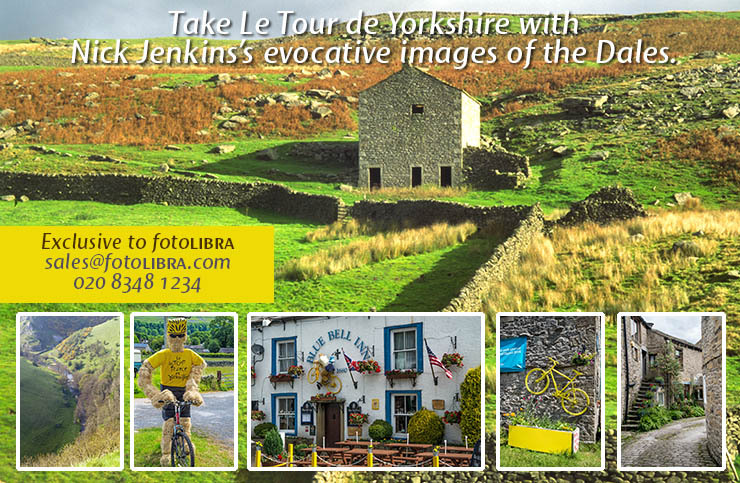 Occasionally we’ll feature one of our leading photographers, and with the Tour De France starting in Yorkshire tomorrow, we thought we’d give Nick Jenkins a turn. Words failed me. So I resorted to expletives. Luckily I wasn’t allowed to reply, as I’m recovering from an op and as a result all my opinions are censored. What do they think we are? Who do they think you are? How do they imagine we feed our little ones? I assume they all work for free and give the magazine away? As Jesus said, the labourer is worthy of his hire, so if you missed Italian photographer Enzo dal Verme’s video in this blog post we made in May, now’s the time to watch it.